I had the first day of my (new!) full-time job today, so this post is going to be a quick one! I think in addition to providing you all with some quality recipes, I’d also like to occasionally provide you with some that can be altered based on your mood/tastes/what you have in the fridge. 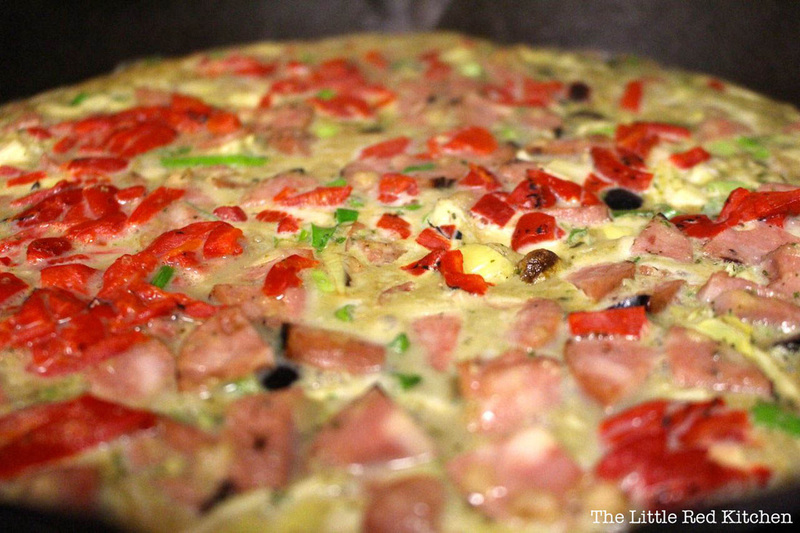 Part of learning (or continuing) to cook is adapting recipes to suit your needs, and it’s been one of the greatest things I’ve learned over the years.Today’s recipe is a great make-ahead breakfast frittata that should last two people at least 3-4 days, depending on how much you eat! 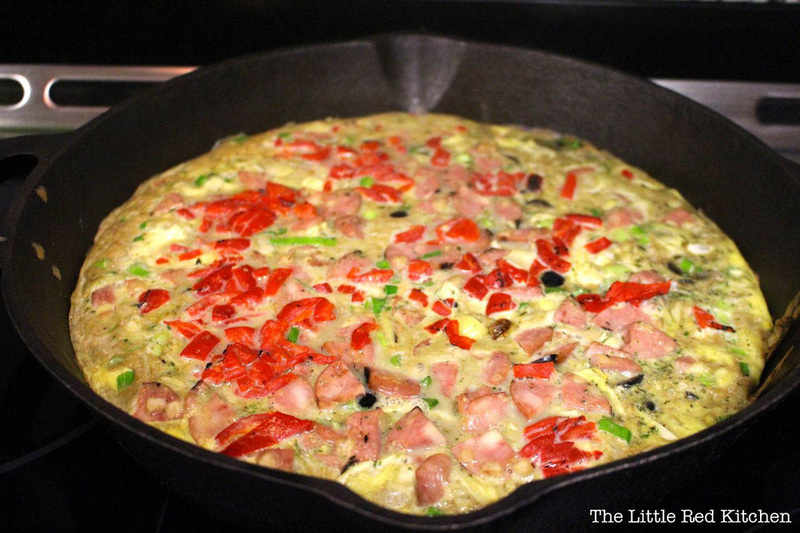 Inspired by the Spanish Frittata Gillie’s in Blacksburg (fellow Hokies know what I’m talking about, yum! ), this is a delicious, nutritious, protein-filled way to start the day. This can also easily be altered to be vegetarian (just put in whatever veggies you’d like, chopped finely, and sauteed ahead of time if necessary). 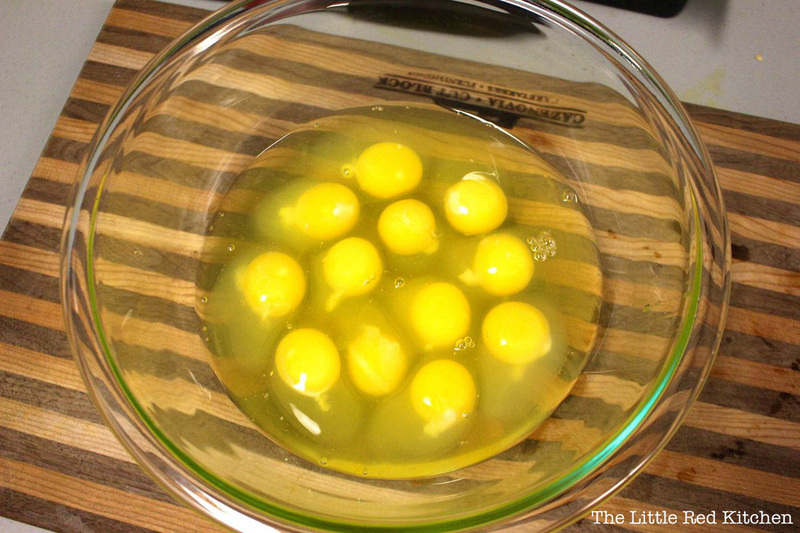 Step 1: Preheat your oven to 375F, and crack one dozen eggs into a large bowl. Look how sunny and happy they look! 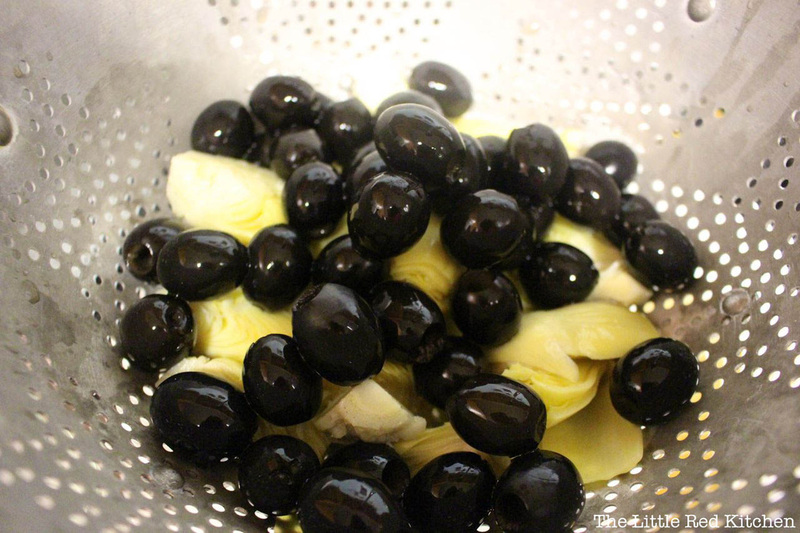 Step 3: Drain and rinse your olives and artichoke hearts, if you’re using them. Drain them really well after you’ve rinsed them too– you don’t want watery artichokes making your eggs runny. Prepare remaining ingredients as desired (I roughly or finely chopped all of the ingredients on my list above). 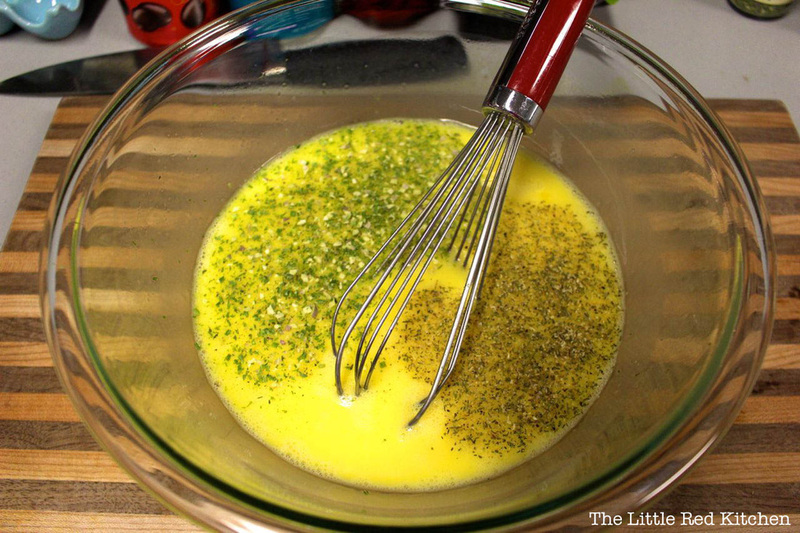 In the meantime, warm your oven-safe skillet over medium heat, and coat with a thin layer of cooking spray/ olive oil. 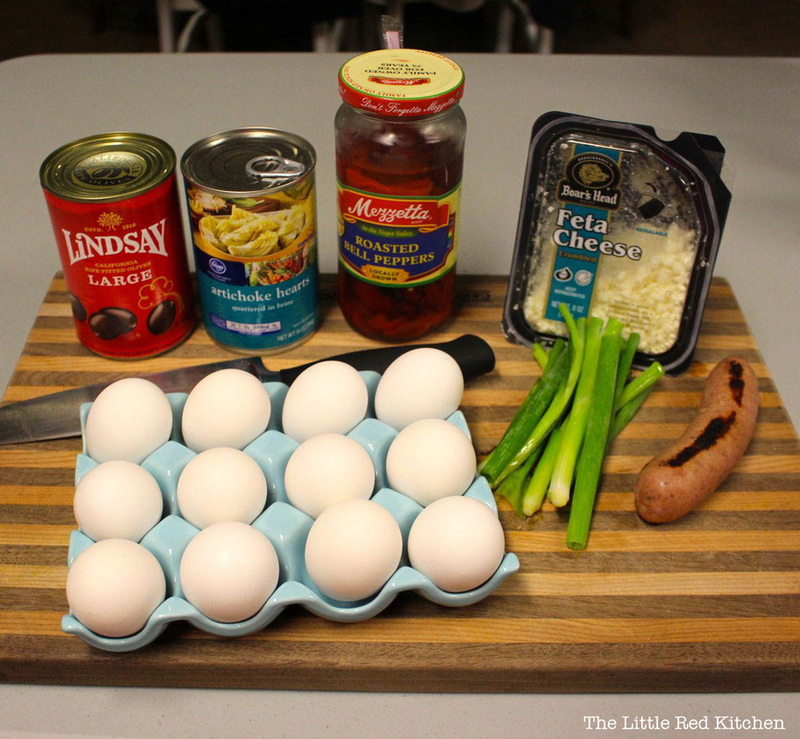 Step 4: Pour eggs into skillet and distribute toppings evenly throughout the pan, pressing down with your spatula if necessary to ensure that all ingredients are at least partially submerged in the egg. 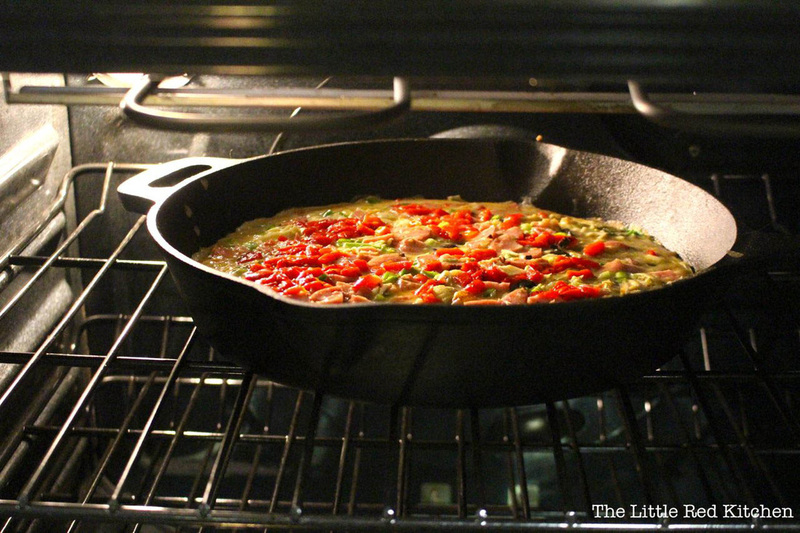 Step 5: Once the bottom of your frittata has set, put on oven mitts and carefully transfer the skillet to the oven. 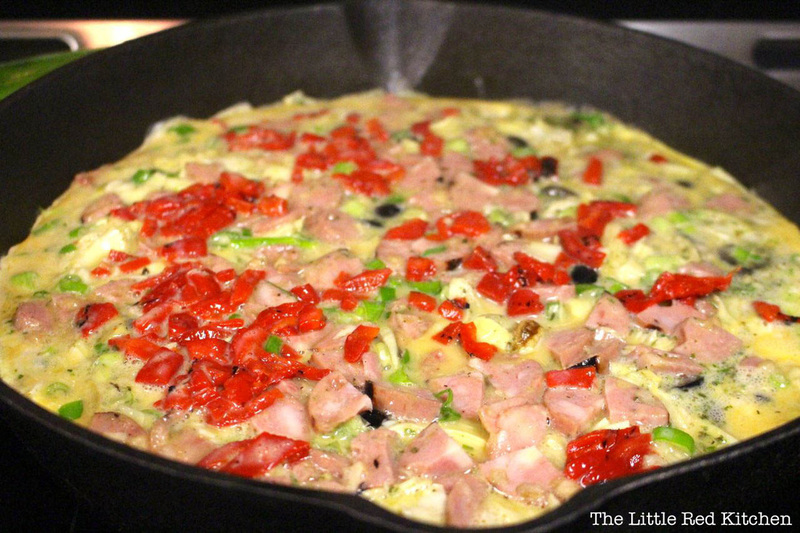 Bake at 375F for 5-10 minutes, or until the middle of the frittata is firm (the eggs have browned very slightly and the frittata doesn’t jiggle when you move the pan). Remove from oven. Doesn’t it look marvelous? 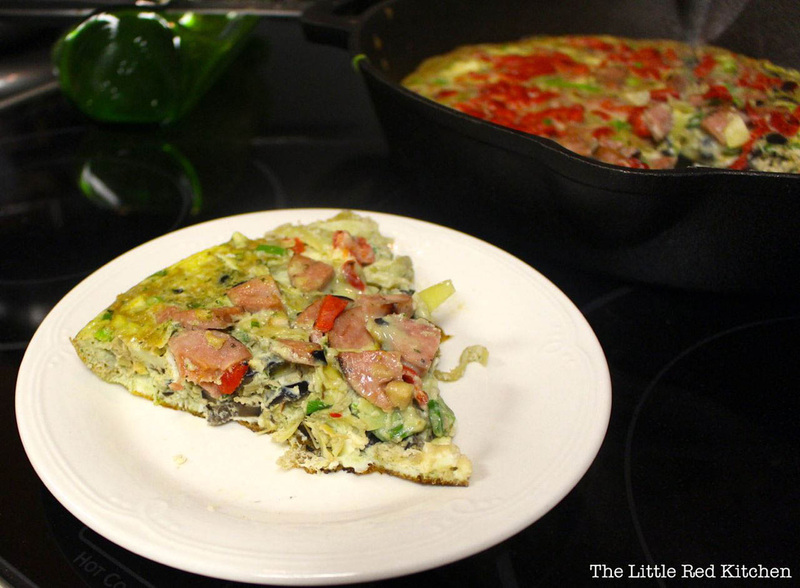 Cut up using a knife, and your frittata should easily lift out of the pan in pizza-shaped pieces. …like my husband: with ketchup. …like me, with a little balsamic and olive oil.YUM. Keep this bad boy in the fridge for up to 5 days. Thank you for this wonderful post!! Making my own “whatever I have in the fridge” version of this right now! So excited! Awesome, Annieee!!! How did it turn out? !